Miji IT Solutions, LLC staff members are experienced with Microsoft Server Domains, Microsoft Thin Client Networks and Unix/Linux Systems. Miji IT will design your server specifically for your Business. 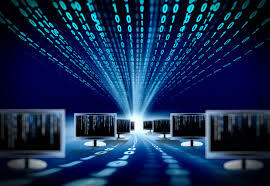 The computer networking in Los Angeles, Culver City & Santa Monica CA we build are professional grade and use only the highest quality parts. We build, maintain, and service our servers on a schedule customized for your business. Miji IT Solutions has the cost-effective computer support that can take your bottom line to the next level. Offering services to companies in Los Angeles, we create our computer networking support with our clients’ budgets in mind. Our highly trained IT professionals have a broad range of experience to guide them quickly to resolve your problem. With IT consulting and computer network services customized to your financial abilities, you can take advantage of our services without worrying about the bill. Put an end to those financial worries, starting today! If you don’t want that kind of stress in your life, then you should ONLY call Miji IT Solutions, LLC. There are 3 big reasons why over 150 Los Angeles based businesses have trusted us for 17 years to support their computer networking in Los Angeles, Culver City & Santa Monica CA. Regardless of how small or large your Business operation happens to be. Miji IT Solutions, LLC is a firm who prides itself on offering advance cutting edge technologies that would allow your Business to evolve and thrive. Developed by Think Up Themes Ltd. Powered by WordPress | Resources.